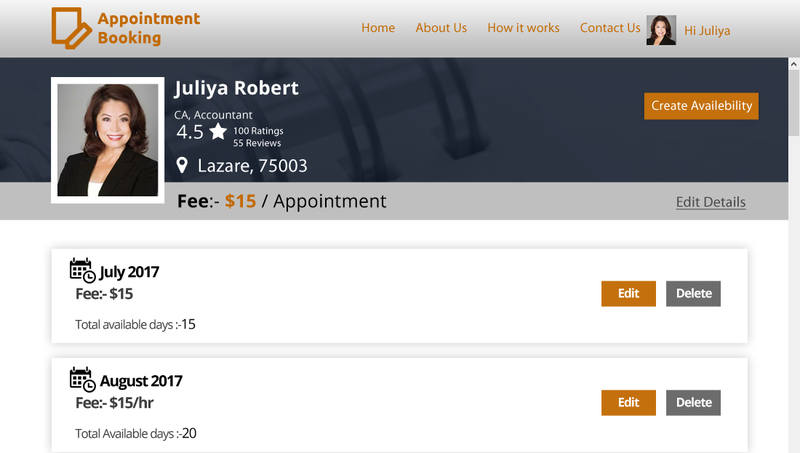 This Online Appointment Booking custom software will serve as an attractive medium for Customers to book an appointment at a Professional's office. A professional can be a lawyer, doctor or a hairdresser registered to the website. Customers can search for professionals with whom they want to book appointment. 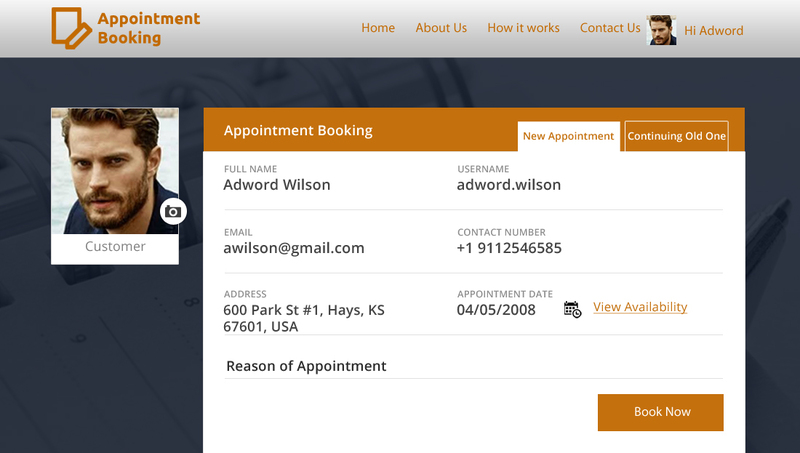 With the help of on demand appointment booking software development, they can select the type of professional they want and enter the city in which they want the appointment. Customer can view the availability of the professional that they may want to book appointment with. They can send booking request selecting the date and make payment for the same. Professionals can mark their availability which would be reflected at the customer's end. Logicspice offers appointment booking software custom development which allow professionals to select their non-working days over calendar and those days will be displayed as blocked over the calendar. They can refer a customer to another professional if they want to. 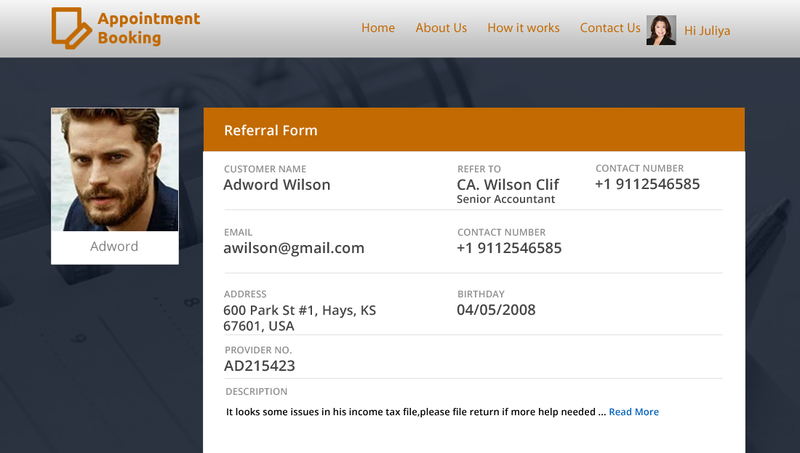 Professionals/Customers will be able to manage their basic personal information over the website. Professionals can manage their availability such as they can specify dates/days on which date they will be available. Professionals can refer a customer to another professional as per their request who is more expert. Customers can search for a professional by entering the keyword about his problem and city. Customers will be able to select the date for booking their appointment and view their non-working days. Once customer books an appointment they can choose the pre filled info if they are making new appointment. Customers can make payment for booking the appointment. Secure credit card processing. How can a customer search for Professionals to book appointment with around his location? Customer can select his city and the type of professional he wants in the website and all the Professional will be listed to the customer. How can a Professional refer a Customer to another professional? Professionals can refer a customer to another professional as per their request who is more expert on the matter by submitting a basic referral form. Time taken to implement your Online Appointment Booking Script depends on the level of customization and data migration. The time frame generally ranges 5-6 weeks. Can a Customer book more than one appointments on the website from different Professionals? 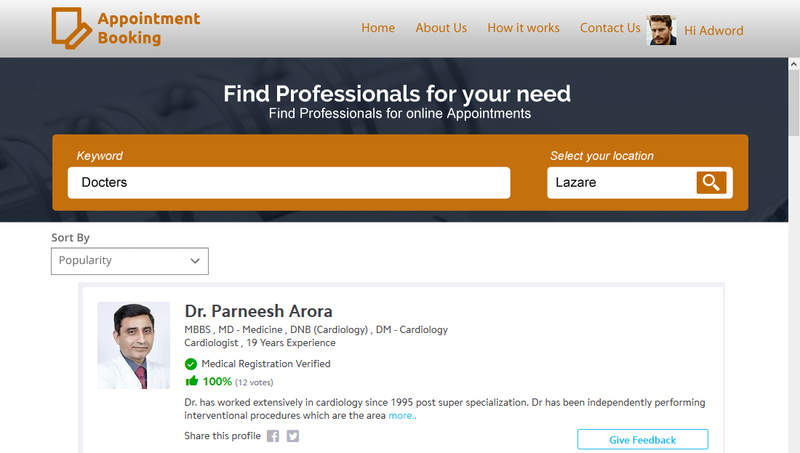 Yes, Customers can book more than one appointments with different Professionals. 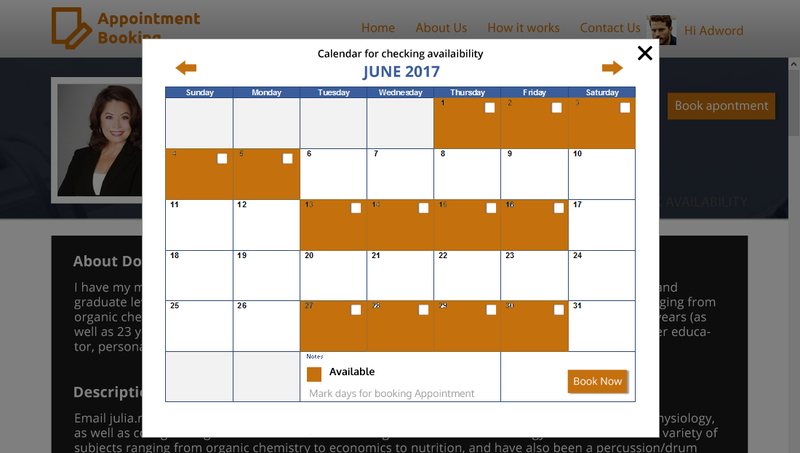 How can Customer book an appointment on the website? Customer can view the availability of the professional that they may want to book appointment with and can send booking request selecting the date and make payment for the same. Can a customer add Professionals that he likes to a list? Yes, customer can add the professionals that he may find interested in to a favorites list so that he can see them at one place when he visits the website again.